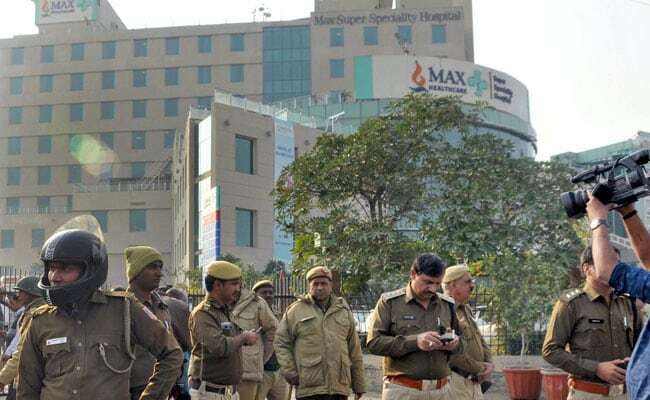 New Delhi, Dec 6: In a preliminary investigation, the north Delhi's Shalimar Bagh-located Max Super Specialty Hospital has been found guilty of not following the prescribed medical norms in dealing with a 22-week premature newborn, due to which he was declared dead on November 30 while he was still alive. The preliminary report by a three-member panel of the Delhi government was submitted to Delhi Health Minister Satyendar Jain after scrutinising hospital records and meeting the staff concerned. "No ECG tracings was done to trace whether the child was alive, body was handed over without written instructions, and dead and alive children were not kept separately," said a spokesperson of the Delhi government unveiling the content of the preliminary report. On November 30, doctors had declared the 22-week-old premature baby dead at the hospital and handed over the body to parents in a polythene bag along with his stillborn twin brother. Later, the family observed some movement in the polythene bag while they were on their way to perform the last rites. As the baby was found alive, he was rushed to a nursing home in Pitampura. As part of initial action, the Max Super Specialty Hospital has terminated the services of the two doctors involved in the case. "While the inquiry by the expert group which includes external experts from the IMA is still in process, we have decided to terminate the services of the two treating doctors, Dr A.P. Mehta and Dr Vishal Gupta, in the case relating to the twin extreme pre-term babies," the hospital said in a statement earlier. A day after the matter came to light, the Delhi Health Minister had stated that strict action would be taken against the hospital and if required its licence would be cancelled. He said the government had also ordered an inquiry when it came to know about the alleged negligence of the hospital. Currently, the baby is in a critical condition at a nursing home in Pitampura. Earlier, a similar incident was reported from Safdarjung Hospital in June when a newborn was found alive even though the doctors had declared him dead.